features that are easy to use, pleasent to eye and works with just a few clicks. 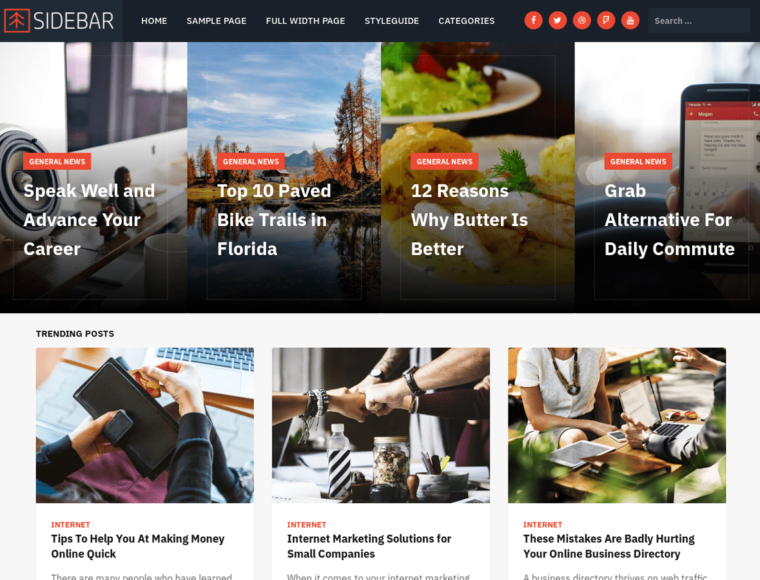 Sidebar Pro is a creative WordPress theme for photo-bloggers, food writers, photographers, vloggers and anyone who wants to show their videos, photos and content in a wide array of layouts. MetricThemes helps you build better and functional WordPress Sites. Each of our theme are hand coded with highest quality of perfection in mind. Our themes are secure, fast and easy to use and customize. We give you tools that you need to customize your site. Use our theme’s customizer to effortlessly set up and customize and launch your site. We build our sites with search engine in mind so your sites are SEO Optimized right from the get go. Each line of code is hand written and reviews by experts to ensure highest standard of quality. All of our themes are coded with WordPress Standards which makes sure any and all plugins hosted on wordpress.org will work seamlessly with your site. We provide detailed documentation for all of our themes, along with that comes our one on one email support. Ask us anything about our theme anytime. 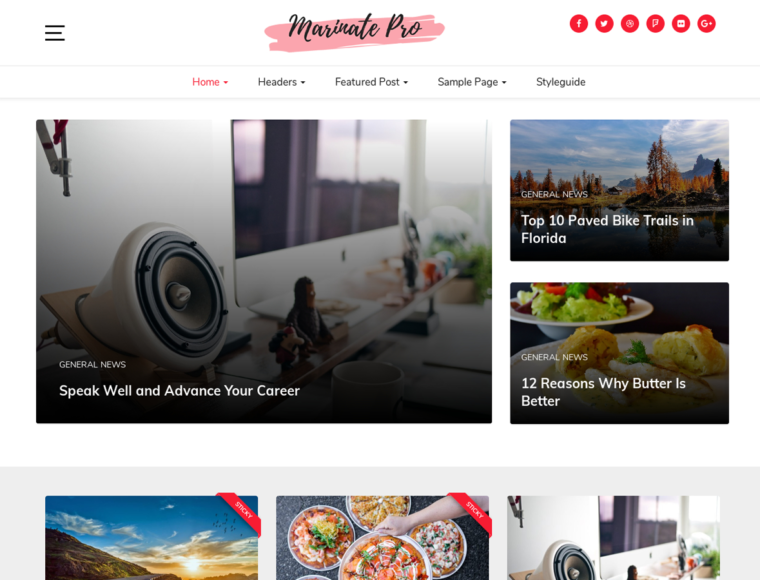 We keep all our themes compatible with the latest version of WordPress and incorporate every new feature that comes with new versions of WordPress. Among various WordPress themes that I have bought, Themes from MetricThemes just works out of the box. I don't have to fiddle with the options much and their support is the best.